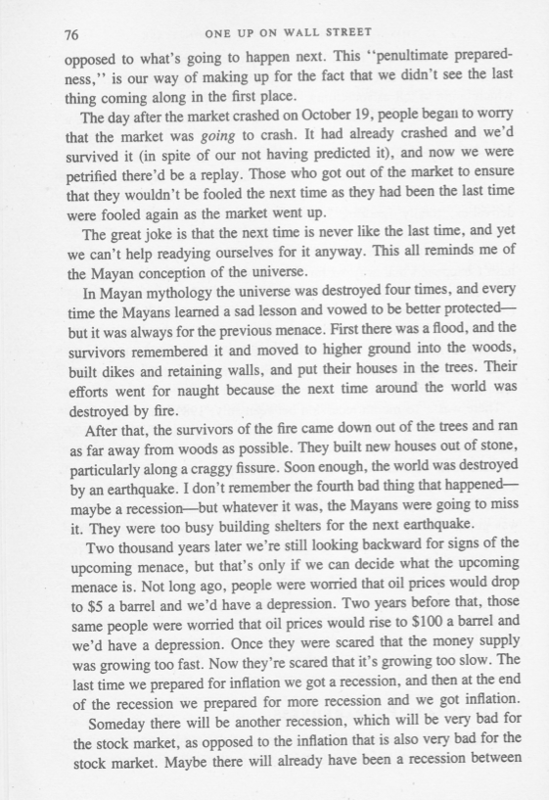 Great Pages: Peter Lynch on The Mayans and "Penultimate Preparedness"
Can a single page of a book change your investment life? We believe it can. Periodically, we highlight some of the Great Pages that have had a great impact on our investment philosophy. Today, we cheat ever so slightly, taking a bit of a second page from Peter Lynch’s classic One Up on Wall Street. But trust us, it’s worth it to see Lynch compare stock market machinations to Mayan mythology. Validea’s Peter Lynch-inspired portfolio is up 10.7% annualized since its mid-2003 inception, vs. 6.5% for the S&P 500. Check out its holdings here.